Ever wished you could charge more on your credit card? A higher credit limit might be the answer. Read on to find ways to increase your credit limit. Tip: To protect your credit score, financial advisors recommend a credit utilization ratio of no more than 30%. This means that if your credit limit is $10,000, avoid charging more than $3,000 to keep your credit healthy. Raising your credit limit provides extra breathing room to your spending limits and credit score health. Keep reading to learn how to boost your credit limit. You have a couple ways to ask for a credit limit increase. Did You Know: An April 2018 poll by CreditCards.com found that 85% of people who requested a credit limit increase received one. In other words, the odds are in your favor. Chase and Wells Fargo require card holders to call a customer service representative. It's not necessary to provide extensive detail to justify a credit limit increase. Keep it professional and to the point. Tip: Don't ask the customer service representative how much you should increase your credit limit. Card issuers usually follow a standard protocol for credit limit increases that's non-negotiable. If they do ask, think hard about a number that works for your lifestyle. Asking for more than you need could not only damage you financially, but possibly raise concern from the representative. If one agent denies you, you can call again and speak to someone else. But unless the second representative provides contradicting information about the denied request, it's best to focus on improving your financial standing rather than keep calling. Multiple calls won't hurt your credit, but they might waste your time and the representative's time. Curious how card issuers determine your credit limit? Keep reading to understand their process. Income and Debts: Did you receive a recent promotion with a sweet raise? That alone could get you an improved credit limit. On the flip side, credit card representatives may also ask about monthly mortgage or rent payments, so new home purchases or student loans could impact you. If you recently suffered an income decline, increased your overall debt amounts, or have outstanding charges, you may be denied a credit limit increase. Hard Credit Inquiry: Hard credit inquiries require your consent for a debt lender to receive a copy of your credit report. The credit report has more detail than the soft credit score check-up banks and credit score companies send. Every time you apply for a credit card or credit limit increase, it triggers a hard credit inquiry, which may decrease your FICO credit score by 5 points. The good news? FICO views all inquiries made within a 45-day period as one inquiry. Denied for a credit increase? Read on for some options. If you were denied an increase, you may still be able to boost your overall credit limit. Open a card with a new card issuer: If you have good credit, opening a new card may provide the higher credit limit you want. To get approved, make sure you consistently pay all your existing credit lines and have had a credit history for at least six months. Even if your new card doesn't have a higher credit limit than your current card, your overall credit available will increase from adding another card. Open a card with your existing card issuer: Contact your existing card issuer and apply for another card. Once approved, call your card issuer and ask for a portion of the second card's credit limit to be applied to your initial credit card. Most card companies will approve this approach if you have a good credit score. Your credit limit may increase regularly if you use the card regularly and make payments on time. For some cards, credit limits could increase as frequently as every six to 12 months. Check with your card issuer to find out if your card receives automatic increases. Why Increase Your Credit Limit? A higher credit limit increases your potential credit card utilization ratio. To keep your credit utilization at or under 30%, you must limit the amount of charges put on your card. By increasing your credit limit, you have the freedom to charge the same or higher amount each month and keep your credit utilization - and therefore your credit score - healthy. 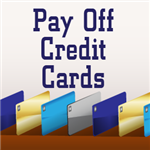 If your income increased, raising your credit limit allows you to take greater advantage of credit card rewards programs. Even with an increased credit limit, stick to smart credit card usage principles. Only charge what you can afford. And make sure to pay your monthly statements in full and on time to keep your utilization ratio low. You can't cure financial trouble with a credit limit increase. If you're having trouble making your monthly payments or planning to charge up a card with debt, your credit score will be hurt in the long run. Also make sure your credit score can handle the small ding from a hard credit inquiry. Consider your spending habits. 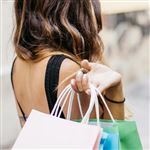 Will an increased credit limit be too much temptation to overspend? If an increased credit limit will send you into a spending frenzy, either hold off or ask for a smaller increase. A credit limit increase will likely help you increase your credit score - assuming you keep your credit utilization rate low. If you have a good credit score, income, and a clean payment history, increasing your credit score can be a painless process. Share on Facebook "How to Increase Your Credit Limit"